Looking for a new treadmill routine? 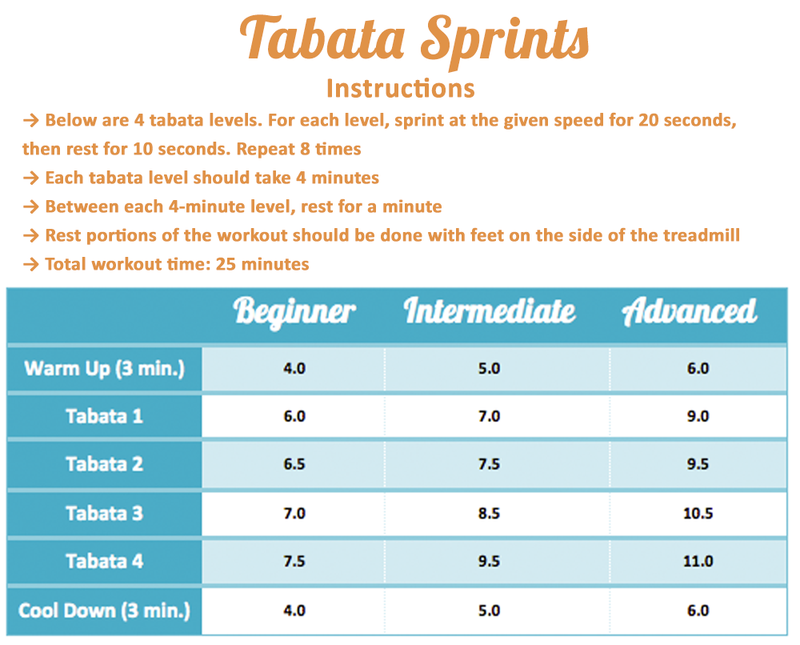 Test out “Tabata Sprints” for a fierce workout that will have you sweating buckets and burning calories! Checkout the workout – and some suggested RockMyRun mix pairings – below to get started! To get through this workout you’ll need some crazy beats, so check out the RockMyRun mixes Country Crazy and Super Twerk. Both mixes rock steady at 200 BPM, a high-energy tempo that will keep you moving even when the workout gets tough!